Does your heart always crave for adventure? Do you ever wonder how it would feel to fill the shoes of your favorite footballer? Or do you always wish to be a superhero? If the answer to any of the above question is yes, then getting a gaming console can make your dreams come true. Stick with us as we are going to reveal the best 5 gaming consoles that you can buy right now in India and also don’t forget to check out these amazing offers today on games to get the best games for your new console at a hefty discount. The PlayStation 4 is arguably the best gaming console in the world. The console has a brilliant, modern look and you can’t help but fall in love with it. The revamped controller, Dual Shock 4 is also a work of art. It is designed in such a way that your hands won’t get tired even with prolonged usage. You get up to 7 hours of battery life and on a bad day, if you run out of juice, you can simply plug in your old PlayStation Vita and use it as an controller. The PlayStation 4 is a powerhouse. And the secret behind this is the custom built octa-core AMD Jaguar processor. The jaguar is built for delivering amazing performance and it never fails to do so. The chipset is also equipped with an AMD GPU engine which is designed only for the PS4. All in all, you really need not worry about playing a game in full HD and 60 fps in the next 2-3 years if you choose to go with the PlayStation 4. However, you don’t get a camera when you buy a PS4 as it is sold as an add-on. This is surely frustrating as you miss out on a lot of stuff if you don’t spend the extra bucks. Also, for a camera that is sold separately, the PS4 camera performs poorly. The PS4 also has a nice looking UI which organizes your games depending upon the usage. Though this feature can be handy in the beginning, it starts to get messy as you install many games and play most of them regularly. Price Starts from: Rs. 26,870. The second place has to go to the X-Box One, the latest of Microsoft’s X-Box series. The one S is a slightly updated version of the original X-box One and we have seen a lot of improvements being made in this device. The X-Box ecosystem is different from Sony and delivers a unique experience. Microsoft has managed to merge the X-Box ecosystem perfectly with the latest Windows 10. Now a game or app once bought in any of your Microsoft devices can be used and downloaded in all of your Microsoft devices. This is a huge advantage and gives the user a lot of flexibility. Also, you do not have to throw away your old games anymore when you upgrade your X-Box. All you need to do is to simply download an updated version of the game for free in your new X-Box. The X-Box one is also powered by a custom built AMD CPU with an integrated AMD Radeon GPU. The GPU is slightly improved to handle HDR gaming but it also helps improve performance in other games. But still, after all efforts of Microsoft, you get better fps in some high-end games when you use a PlayStation 4. The X-Box lets you play games in HDR mode which introduces more colours and added realism in your games. You can also stream and play in 4K resolutions. The 4K gaming is, however, not native. The X-Box one simply upscales your everyday 1080p game into a 4K resolutions. Though the upscaling is impressive, it is nothing like true 4K. The X-Box One S also misses the Kinect port and you have to spend some extra bucks to connect the kInect with the X-Box one. The camera performance though is way better than the PS4. Price Starts from: Rs. 22,890. The X-Box 360 is an old console but thanks to firepower Microsoft packed it with back in 2005. Yea it is true that you will not be able to play some of the latest titles but for a device which is priced almost half of the X-Box one, running games like GTA V is an astonishing performance and can be a great bargain for players on a tight budget. The X-Box 360 runs on a 3-core Xenon CPU designed by IBM. The device also packs an AMD designed ATI Xenos GPU with 10 MB of eDRAM. The RAM of this device is capped at 512 MB. This specs may look heavily outdated but this custom made CPU and GPU combination is capable of running some of the very latest games at a respectable FPS. The X-Box 360 also has Kinect bundled with it. So, you will be able to enjoy some of the best controller-free gaming experience. Having Kinect means you also get a camera set with your X-Box 360 but don’t expect it to be in the same league with the latest console cameras. Price Starts from: Rs. 14,895. Another old console but yet again another game changer in the gaming console industry. The PlayStation 3 has revolutionized modern gaming industry with a number of incredible features while still keeping it affordable for its consumer base. It is not directly sold now but for around 18k bucks, you can still find it on eBay. The PS3 uses a microprocessor developed by joint efforts of Sony, Toshiba and IBM. The chipset is so powerful that it led to the use of it in development of supercomputers. 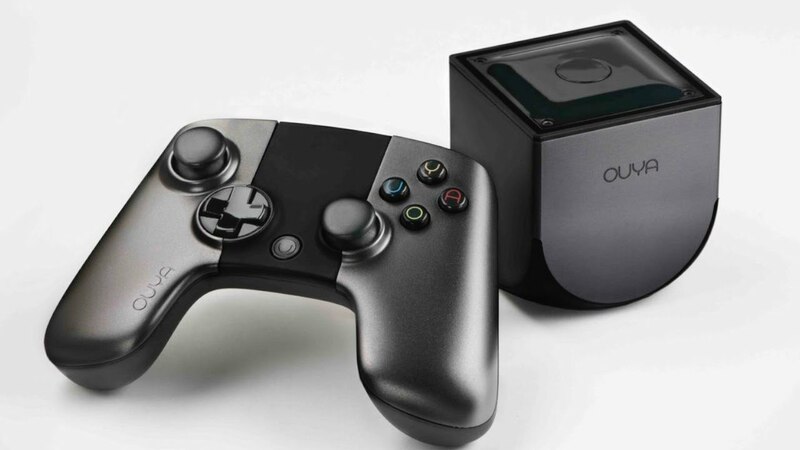 The device also uses a Nvidia powered graphics processor which is one of the pioneers of bringing 1080p HD in gaming consoles. All in all, you get a solid performer at way cheaper price than the latest PS4. However, you will not be able to play games which are released after the launch of the PS4. But still you can play some amazing titles and most importantly, can get hefty discounts on those titles. Price Starts from: Rs. 17,990. Nintendo has always developed consoles which are nothing like the PlayStation or the X-Box. And the trend can be seen to continue in the latest Nintendo Switch. You can either use it as a home console or you can take it out to start where you left off while on the go. The Nintendo switch does not intend to compete with the PS4 or X-Box One in terms of graphics capabilities. It has a specification which is more like your tablet. But where Nintendo wants to engage its customers is casual gaming. Casual gaming is extremely fun in the Switch as you can take it up anywhere and with the removable controllers, you can have some serious multiplayer duels. Price starts from: Rs. 27,500. In recent few years, the gaming industry has seen a massive growth throughout the world and India is no exception. With the globalization of Indian market, now there are gaming consoles available for every budget or taste. So, go ahead and relish your dreams with these amazing devices.